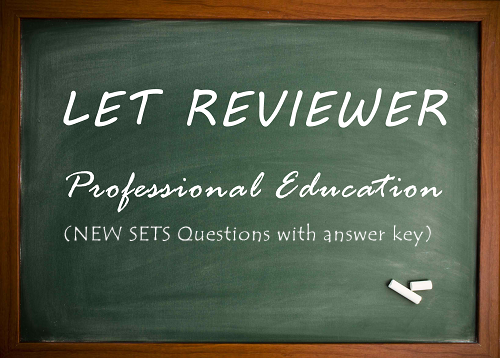 Here are the new sets of printable and downloadable Professional Education LET Reviewers. Please post po yung answer key for set 1 part4 po. Thanks. Answer key for set 1 part 4 please. Thank you. PLEASE po. Answer key for set 1 part 4 . Thank you.